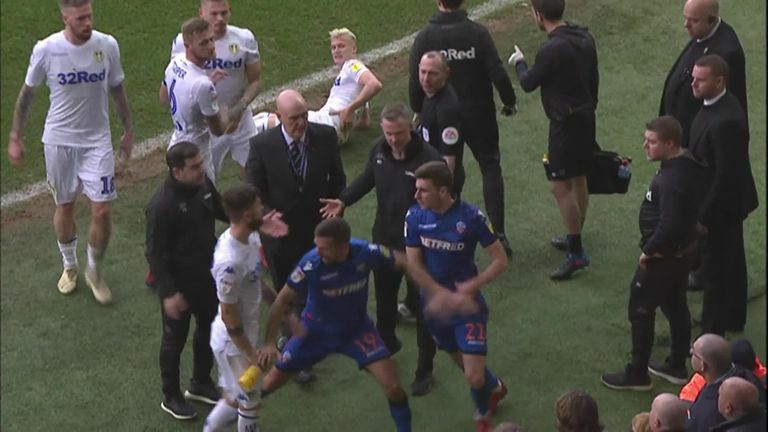 Josh Magennis sparked a mid-match brawl during Leeds United's 2-1 win over Bolton in the SkyBet Championship on Saturday. 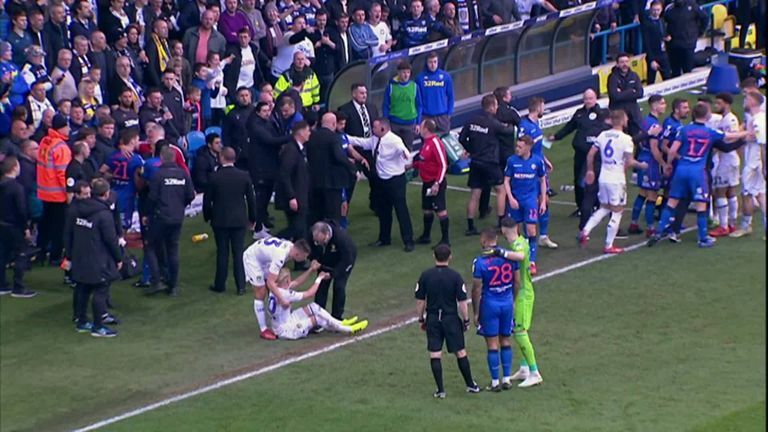 A foul on Ezgjan Alioski by the the Northern Irish striker near the Elland Road touchline instigated the melee, resulting in players and staff getting involved and Bolton boss Phil Parkinson being sent off. Joe Wililams, as well as Magennis, was booked for his involvement in the incident after trying to drag Alioski to his feet. In addition to his yellow, Williams also received a soaking from a Leeds player for his actions. Click play on the video at the top of the page to watch the incident at Elland Road.